F. L. Gratton was born in Halifax, Yorkshire, UK in 1871 and was educated at the King Edward Grammar School, Birmingham. When 13 years of age, he came to South Australia with his father, the Rev. Enoch Gratton. As a boy he sang in the Maughan Methodist Church Choir. Frank started his teaching career as a Pupil Teacher in 1887 at Sturt Street School in Adelaide. After attending the Training College in 1892 he was appointed as Assistant Teacher at Moonta in 1893-1896. From September 1896 to 1902 he taught at Currie Street School, 1903 at North Adelaide School. He was promoted to Head Teacher in his appointment to Kalangadoo 1903-1905. At the end of 1905 he resigned and moved to Launceston, Tasmania, to take up the position as Assistant to the Principal at the Charles Street School. Frank Gratton demonstrated musical aptitude in the prevailing tonic sol-fa pedagogy, eventually becoming an Associate of the Association of the Tonic Sol-fa College, London (1906). After spending one year teaching at the Charles Street School, he returned to Mount Gambier to marry Amy Barrows in 1907 and they returned to Launceston to live until Frank resumed employment with the SA Education Department in 1911. In 1914 he was appointed inspector of music at the Training College in Adelaide, and between 1920 and his retirement in 1936 he was the supervisor of music in the South Australian education department. For seven years Mr Gratton was organist and choirmaster of Malvern Methodist Church, and also conducted the Methodist Centenary Choir of 750 voices. 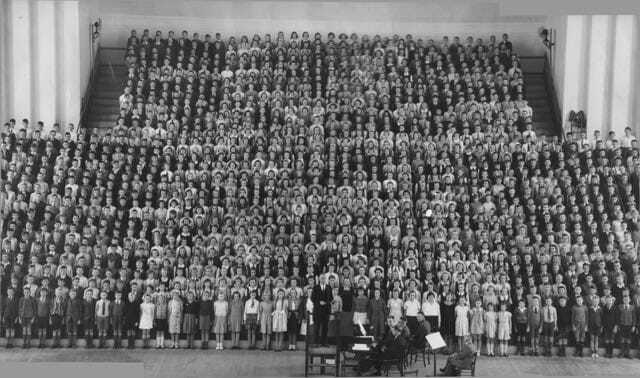 He again showed his conducting ability when he had charge of rehearsals for the Melba Memorial Choir comprising 2,500 singers. 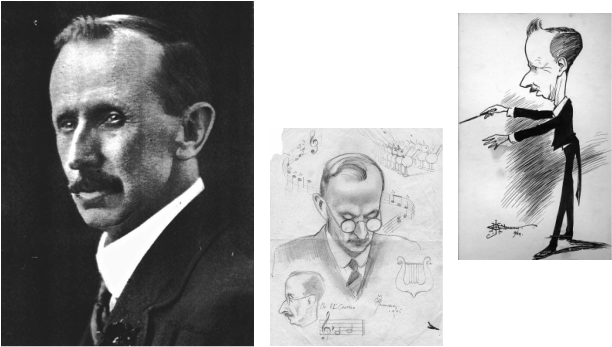 Perhaps he is most remembered as the acclaimed conductor of the massed children's Thousand Voice Concerts, 1920-37. Probably the most popular and most widely known man among those who came in contact with school children in South Australia, Mr. Gratton conducted 96 Thousand Voice Choir concerts. In this way he assisted in the vocal training of nearly 100,000 South Australian school children. Under his leadership, the South Australian Police Association Choir gave a number of concerts for charity in metropolitan and country areas. Frank L. Gratton died at Seacliff, South Australia in 1946.